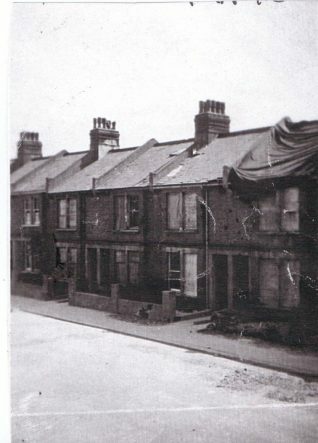 I lived in Bennett Road from just after the war until the 1960s. I remember Mr. and Mrs. Boston when I was a kid, and I remember when they won £75.000 on the pools, it was the talk of the road as you would expect. I also remember Mr. Boston’s Rover (Cyclops) car. As I remember it was one of the very few cars in the road. In the colour photo on the other page in this section about Bennett Road, where the man on the left is walking just by the lamp-post, there was a bombsite when I was a kid. There were five houses missing. As the story goes the Luftwaffe were trying to bomb the gasworks just down the road behind St. Marks school. In the black and white photograph here it shows Bennett Road with the bomb damage from the air raid. Just to slightly correct a previous poster, the next road down from Bennett Road was called Rugby Place.